Betty J. Lahman, age 83 of Clarksville, passed away on Monday, November 19, 2018 at Clarksville Nursing & Rehabilitation Center. Betty entered into this life on September 24, 1935 in Stewart County, TN daughter of the late Paul and Lula Pulley. 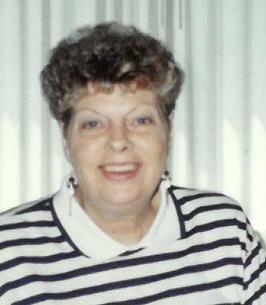 She enjoyed quality time with her family, working crossword puzzles, watching Family Feud and football. In her younger years, she enjoyed camping and fishing. Betty has struggled with illness for most of her life, which made her the strong woman she was. She had a giver’s heart and was a loving mother, grandmother, great-grandmother, sister, and friend. In addition to her parents, she was preceded in death many brothers and sister, and her husband, Richard Lahman. The family takes great comfort in knowing that she is reunited with him again. 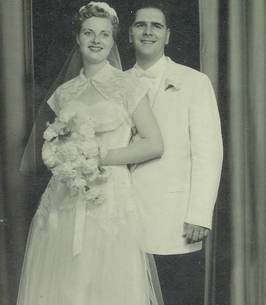 Survivors include her children, Darrell (Karen) Lahman, Terry (Bill) Piechowski, and Kathleen (David) Hall; brother, Paul (Anne) Pulley; sisters, Mable Pici, Virginia Dowelske, and Dorothy Hart; grandchildren, Kristine (Raymond) Cruz, Tim Cooksley, William (Amber) Piechowski, Elizabeth (John) Heda, and Zachary Piechowski, and seven great-grandchildren. "Perhaps you sent a lovely card, or sat quietly in a chair. Perhaps you sent a floral piece, if so we saw it there. Perhaps you spoke the kindest words, As any friend could say; Perhaps you were not there at all, Just thought of us that day. Whatever you did to console our hearts, We thank you so much, whatever the part." To send flowers to the family of Betty Jean Lahman, please visit our Heartfelt Sympathies Store.